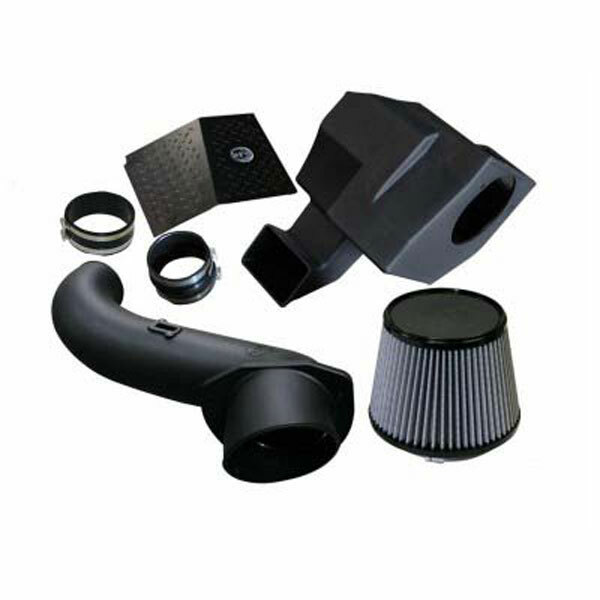 AFE Power 51-81332 - aFe Power MagnumFORCE Stage-2 Si PRO DRY S Intake Systems; GM Diesel Trucks 07.5-10 V8-6.6L td LMM; 2007-2010. This new PRO Dry S Sealed Intake System gives you cool air and quiet power on a budget. The sealed design keeps noise at a minumum while the large 360 degree high flow PRO Dry S air filter and sealed intake box with auxilliary intake scoop increases air flow by 51%. Picks up 12 Horsepower and 25 lbs X ft. of torque at 2100 RPM. Installs in 30-45 minutes with no drilling or cutting required. This system is a truly stealth system.